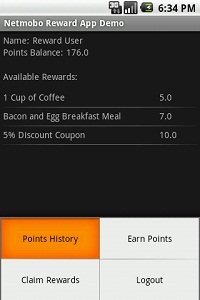 A simulation of Points accrual and eventual Reward redemption activities using NetMobo. NetMobo is an on-demand back-office platform designed specifically for app developers. NetMobo can be used for in-app and in-game payments too.